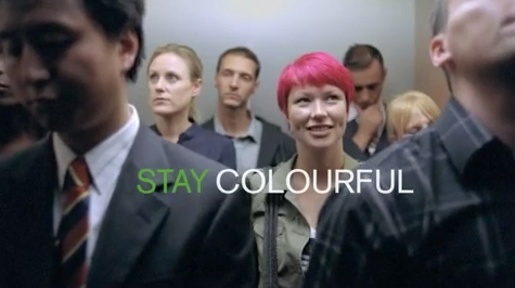 Holiday Inn is running a $100 million dollar advertising campaign, “Stay You”, encouraging potential visitors to be themselves. The Stay You campaign coincides with the final stages of the Holiday Inn brand relaunch, a $1 billion investment across more than 3,300 hotels worldwide. In the “Stay You” television commercials, actors and real families portray people staying true to themselves, including a couple dancing together: stay unafraid, a guy barbequing during a rain storm: stay determined and a sports fan celebrating: stay committed. This is the first time the brand has used TV as an advertising platform in the UK in several years, and the first time ever in Germany. In Mexico, Latin America, Asia and Australia the campaign will include print, digital and outdoor advertising. The Stay You campaign will be a fully integrated campaign across all communication touch points including distribution channels, loyalty program communications and hotel collateral. The Stay You campaign was developed at McCann New York. Filming was shot in Sydney, Australia, by director Simon Ratigan via HLA. Editing was done at Mackenzie Cutler. All global media planning and buying for the Stay You campaign was handled by Mindshare.